The Salt Lake County Health Department will offer free lead testing for Sandy residents who believe they may have been affected by the city’s recent water contamination. The blood tests, which will be administered by Intermountain Healthcare, start at 8 a.m. Saturday and run until noon. They are open for anyone living between 700 East to 2140 East and 10600 South to 11400 South. That area was affected by high fluoride levels — as well as copper and lead — which leaked into parts of the water system after a power outage caused a malfunction at one of the city’s pumps on Feb. 6. Sandy officials had thought the fluoride levels were back to normal the next day and had alerted residents. But, more than a week later, they discovered the issue was more widespread. The high levels of fluoride, which can be dangerous to drink, also corroded pipes in some houses, adding lead and copper into tap water. 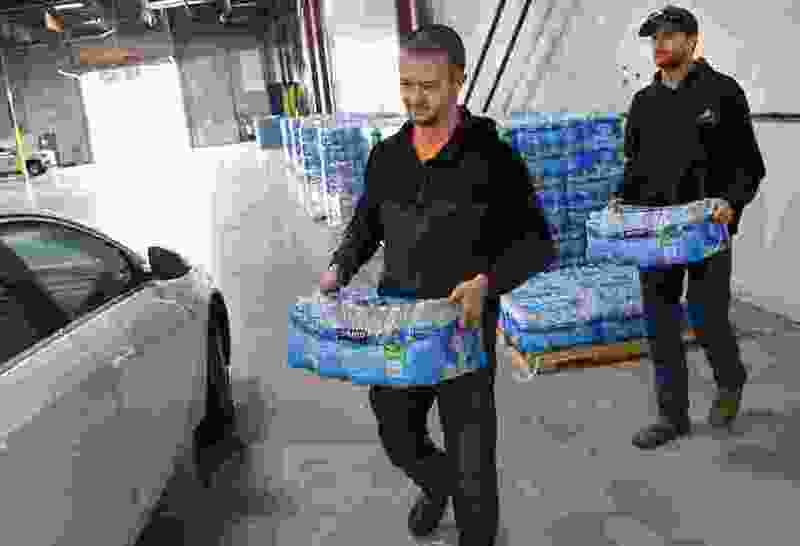 The health department said it is offering the lead tests to residents as “peace of mind.” The duration of exposure to the heavy metal was brief and “therefore unlikely to have long-term health impacts,” it added in a news release Friday. Still, anyone interested can call 385-468-4636 for an appointment and for a list of the locations. The slots will be filled on a first-come, first-served basis. But the department will take down contact information for those who are not able to be seen Saturday to schedule later tests, which include a finger prick and take about three minutes. The Utah Department of Environmental Quality has cited Sandy for the excess fluoride and is also determining if the city appropriately notified the public for the elevated levels of lead and copper. Sandy staff had initially said residents would be fine if they flushed their systems. It then advised certain areas to not drink or use any water for cooking until it was later deemed safe. About 150 residents questioned city leaders during a public meeting Monday about why they didn’t learn about the issue sooner. “That’s beyond negligent,” said one man. The city council voted unanimously the next night to form an independent committee to look into Sandy’s communication with residents. The director of public utilities for the city then announced Wednesday that he would step away from his position while investigators examined the response. People in at least eight locations in the affected area reported illnesses possibly related to the tainted water.